An elegant self contained exercise system, which,when practised correctly and regularly, can improve health, enhance physical appearance and well being. Particularly celebrated for its ability to increase energy, develop a powerful flexible body, improve skin tone and control weight. 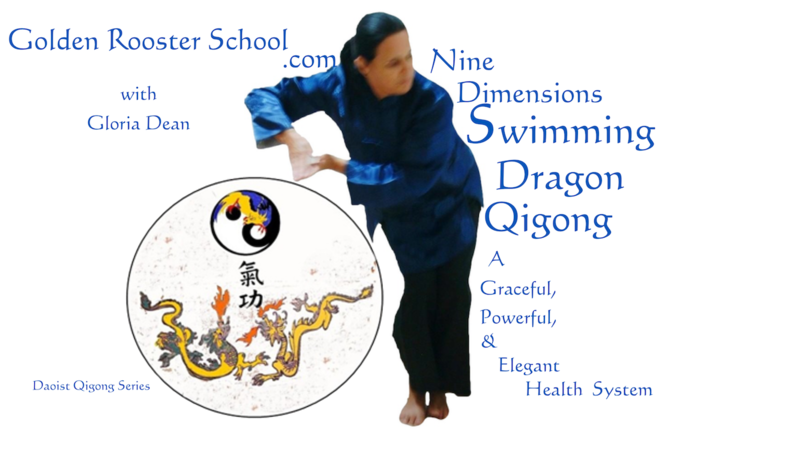 Nine Dimension Swimming Dragon Daoist Qigong is easy to learn and perform, it can bring pleasant and beneficial results from the onset. Repeating short cycles of movements the body smoothly and evenly rises and falls, at the same time spiralling left and right, through nine graduated techniques. The gentle swinging spirals stretch and compress the muscles, joints and in particular the spine, thus improving tone and circulation, assisting in the removal of toxins, stimulating the endocrine system and the major energy centres. The movements beneficially influence the internal organs and encourage deep relaxing respiration and calmness. 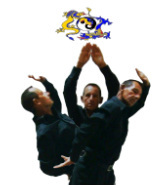 You can learn a full Swimming Dragon Qigong routine from the Golden Rooster System for practise at home or in a fitness studio, and be introduced to the underlying Taoist theory. Choose from the buttons opposite, to register your interest. We will get back to you with course details. ​If you have any other questions, you can email us. Sifu Gloria Dean practices one of our swimming Dragon movements.